Which is your favorite, yêu thích Adele song? my yêu thích Adele songs ; favorite? What's your yêu thích song on 21? WHICH IS THE BEST ALBUM OF SHE,21 hoặc 19? I was wondering if Adele could write a quick note hoặc this is a far stretch but sing to her to Make bạn feel my love. This was our wedding song. This would make her years. Watch Free Indian drama serial Sajda Tere Pyar Mein Live episode 21 February 2012. All episodes and latest những thông tin cập nhập of Sajda Tere Pyar Mein drama is available online. All episodes of Sajda Tere Pyar Mein Download and watch Free. Sajda Tere Pyar Mein is set in the beautiful Rishikesh and will also be set in Chandigarh after Jeevika's marriage. This is a story Ek Hazaaron Mein Meri Behna Hain is two sisters who tình yêu each other enough. 3.) @pilyrodriguezz: You'll never know, if bạn never try. Old friend, why are bạn so shy? It ain't like bạn to hold back hoặc hide from the lie. 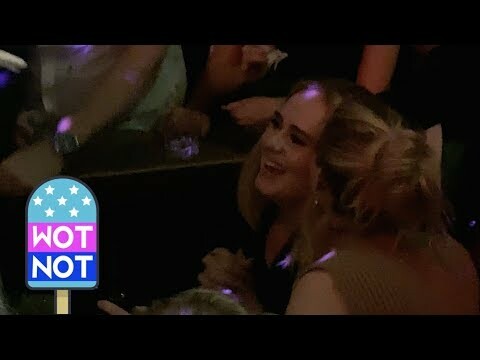 RUMOUR has it Adele’s fourth album will be out tiếp theo summer if her record label Sony gets its way. a comment was made to the poll: What is your yêu thích song from "25"? I will change if I ______, Slow it down and bring it home.